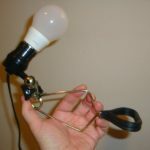 When a blog post is published it is necessary to let all the search engines know that there is new content on your blog. 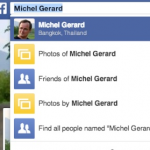 This is done by pinging manually or automatically the new blog post to a list of ping services. WordPress pings automatically your post when it is published, which is great, but also each time you edit it and click the “Save” button. This is a huge problem as your blog might be tagged as ping spammer and hurt your ranking efforts as a result. 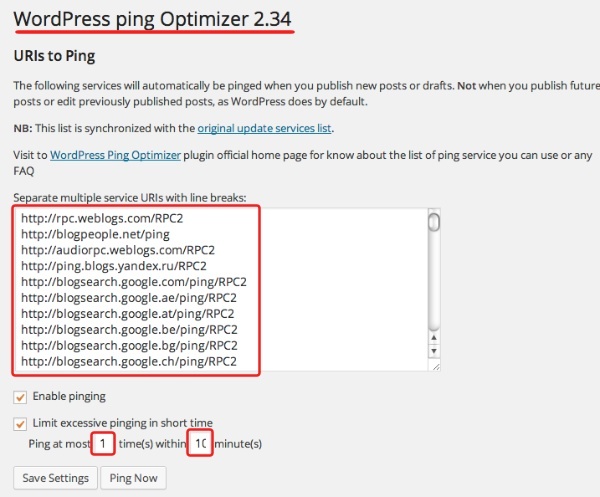 WordPress Ping Optimizer, a WP plugin solves the problem. Let’s see first where is located the default ping list in WordPress. Under the Settings menu locate the “Writing” link. 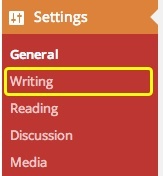 After you have clicked it you will be on the “Writing Settings” page. Scroll down the page a bit and you will se the “Update Services” list. By default you will see only one called “Pingomatic”. You should add more like this. A list of ping services you can use for better results can be found here. 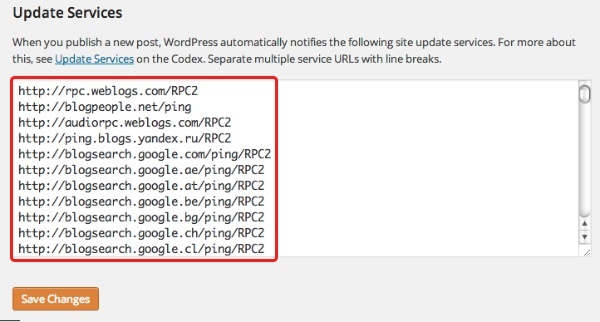 Adding more ping services is great, but as stated in the first paragraph, WordPress pings them each time you edit your post and this can get your blog into trouble. 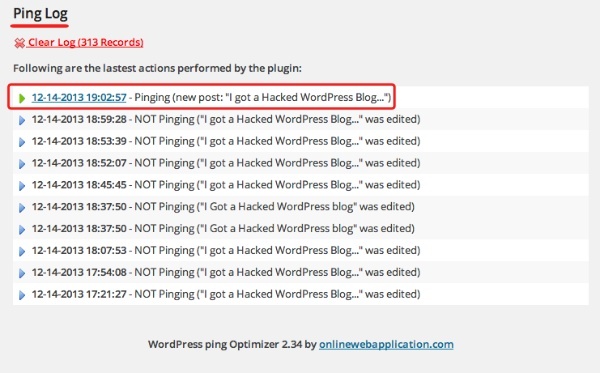 Let’s see now how this WordPress Ping Optimizer plugin works. 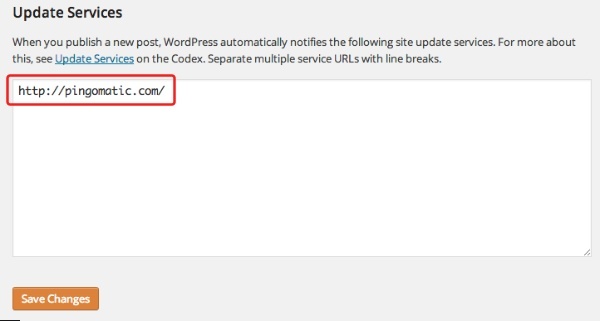 Now, under the Settings menu locate the “WordPress Ping Optimizer“ link. 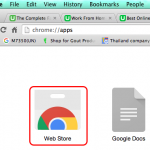 After you have clicked on it you will be on the plugin’s page. The list of ping services you have on the “Writing” page will show here. You may change the list if you wish. Check the 2 options “Enable pinging” and “Limit excessive pinging in short time”. I choose max 1 time within 10 minutes to be safe. The second portion of the page shows the Logs. Let’s see the details now. Click on the small arrow. You can see the results of your pings. If it’s green all is fine, if it’s red, the ping did not go through. There will always be red entries. If the particular service does not work anymore, remove it from the list. 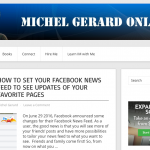 I hope this article will help you to manage your pings better and improve your SEO results.